Ignore the calendar, the holidays are here. You've probably already spotted a preemptive wreath or two around the neighborhood, Starbucks has once again trotted out its festive red cups, and Amazon started its Black Friday sale early. Getting things for cheaper than usual is one of the very best parts about the holidays (also the love and joy and community, but eh), so it's extremely festive that Amazon just gave everyone another way to save money. As of November 5, Amazon is offering free shipping with no minimum purchase -- and not just Amazon Prime members. Non-Prime members usually have to have a minimum order of $25 to qualify for free shipping, but this deal eliminates that requirement. Consider this your chance to go absolutely wild purchasing small, practical items. Note that this deal is only available in the United States, and will be available until right before Christmas, once "Amazon can no longer promise items in time for Christmas with free delivery, which typically takes five to eight business days," according to a report by Reuters. If you're a Prime member and this is making you feel less special, don't fret. 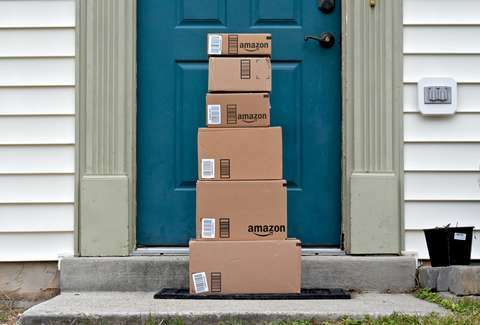 You still get a fancy: Prime members get free same-day delivery on "over 3 million items," in addition to the standard two-day free shipping. In the past, a mere 1 million items have been available for same-day delivery, which means there are three times as many options this year. The holiday music may get old pretty fast, but we support them starting these deals as early as they want.